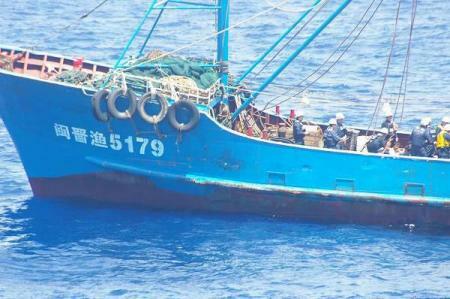 A Chinese fishing boat is inspected by Japan Coast Guard crew members after it collided with two Japanese coast guard vessels near the disputed islands in the East China Sea, known as the Senkaku isles in Japan and Diaoyu in China, September 7, 2010. 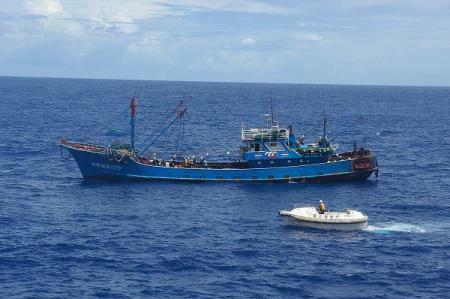 Japanese authorities say the Chinese vessel was fishing illegally in their waters and that the collision appeared to have happened while Japanese Coast Guards were chasing the vessel out. Hoapinsu, the south-westen island of an isolated group about 90 miles northward of the West end of Meiaco sima, is 1,180 feet high, with a steep cliff on the southern side of the summit, and a gradual slope on the eastern side. This island is barren and uninhabited; there are pools of fresh water, with fish in them, on the eastern slope. 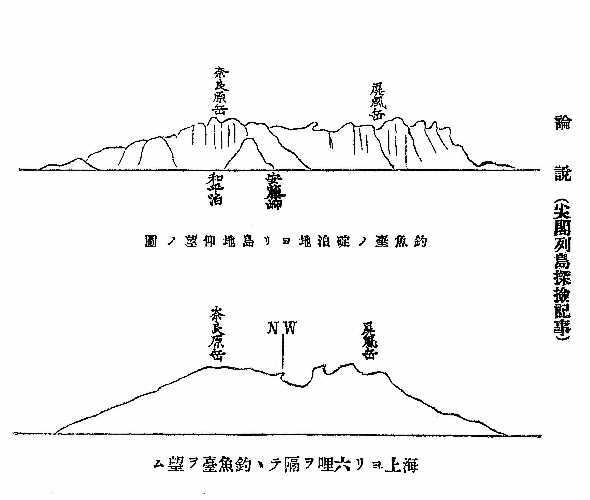 Hoapinsu, the south-westen island of an isolated group about 90 miles northward of the West end of Meiaco sima, is 1,180 feet high, with a steep cliff on the son(マ→u)thern side of the summit, and a gradual slope on the eastern side. This island is barren and uninhabited; there are pools of fresh water, with fish in them, on the eastern slope.